August 1, 2015 July 28, 2015 by Beau H.
Editor’s note: Expect these posts weekly detailing one standout item coveted by yours truly. Sometimes, these fit within budgetary restrictions and other times, they’re expensive splurges worth saving for. For more Wish List items from Beau, head here, and to see other Style Picks, head here. They’re finally here, folks. A long-awaited release from buzzed-about Web retailer Everlane. Drumroll, please … after years of doing simple basics the right way for guys, Everlane stepped into uncharted territory with its latest release earlier this week — pants. 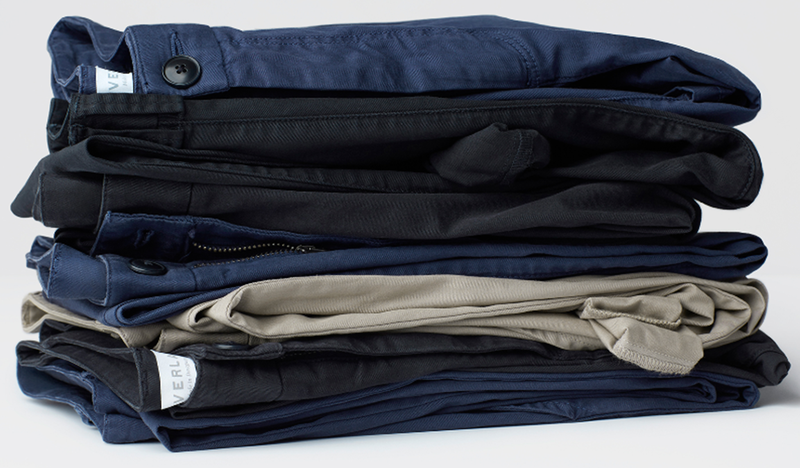 The Everlane Slim Pant, to be specific. A year-plus of research led the brand to its newest offering, which joins other minimal yet well-designed pieces like pocket T-shirts, polos and sweaters in an increasingly expanding number of styles. But right now, the pants are what have people talking. And for this first big foray into a new product category, Everlane has (in characteristic fashion) kept things exceedingly simple. Just three colors (midnight black, a pleasing shade of heightened navy, and classic khaki). The versatility of these colors goes without saying — even a black pair of pants is starting to look promising again, ehh? And the fit details they’ve worked into the design make them even more versatile. A tailored but not tight fit and classic colors — like Navy shown here — knock these ones out of the park from the Web retailer. They feature 2% elastane stretch built in (similar to Mott & Bow denim), offering a little give when you move around. And the slim yet not overly tailored fit is definitely to be desired as well. GQ got the scoop on the release earlier this week, and had nothing but good things to say — promising words indeed. While these pants appear at first to have several great things going for them, the transparency and lack of a retailer markup is key — that makes these a $65 pair of pants as opposed to $140, according to the brand. 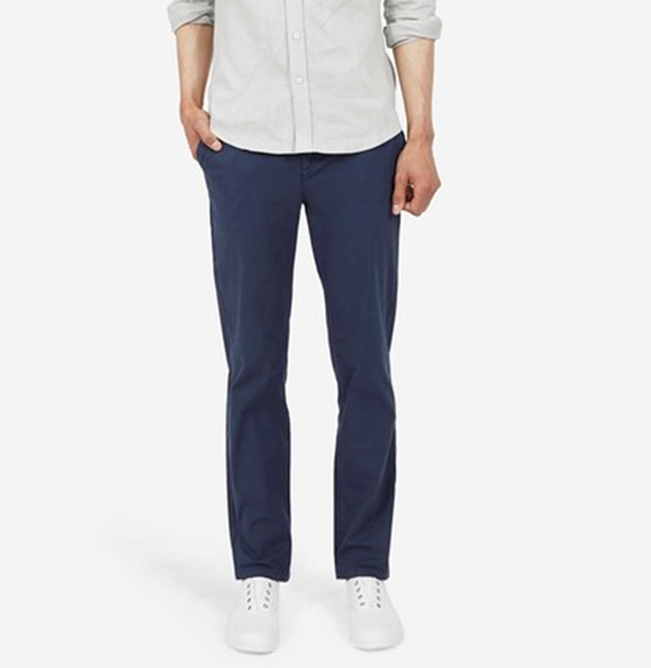 The breathable cotton weave should make these as versatile as something like the Washed Chino from Bonobos — a true four-season chino. The navy (or heck, black or khaki) would look excellent right now with an olive henley and equally sharp with a grey sweater come chillier fall nights. What are your thoughts on the latest release from the brand? Will you be picking up a pair?